Once again, the Beard Vape released a new bomb! They are happy to introduce you to the new Beard Vape Color Green e-liquids. First of all, the brand itself is one of most popular e-liquid brands out there in the vaping community. Not only that they’re so popular, but they’re making the best quality e-liquids out there. 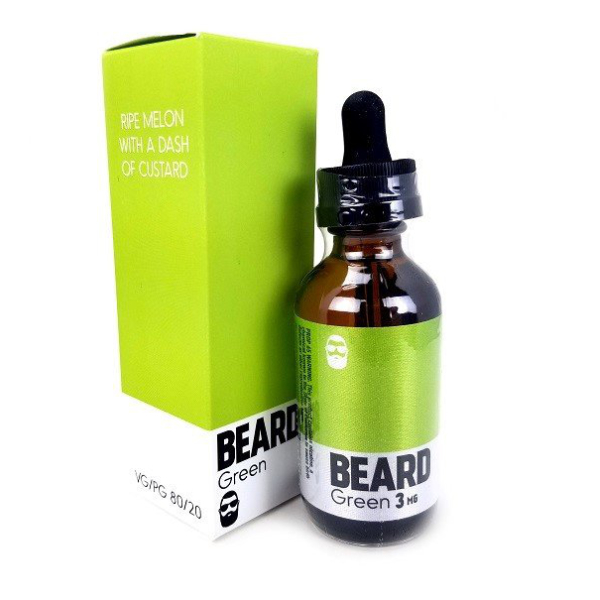 The Green color e-juice by the Beard Vape turns your vape into something else. The Melons and custard bring you a rich flavorful of amazing subtleties which will tease your senses. This is a perfect summer vape, which you will enjoy on your daily basis. So why not just try it out! Overall an amazing product once again by the Beard Vape. The e-juice itself produces a lot of vapor because of a great 80% VG / 20% PG ratio blend. This great e-juice is made in the USA and also comes in a 60ml glass bottle with a dropper. You can also choose the nicotine levels of 0mg, 3mg, or even 6mg.